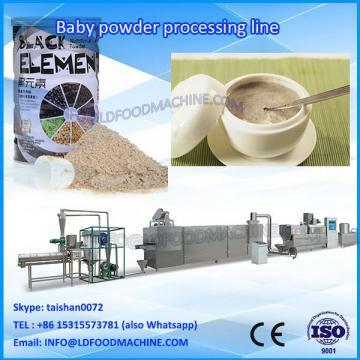 1.Nutrition powder extruding line is used to produce infant baby food and some other instant flour products. The raw material is put in the mixer then mixed ingredients are fed into extruder feeder. The extruder is fitted with: special cylindrical holding silo; vibratory doser with hopper to feed the extruding screw; extrusion mechanism and cutting; independent electric panel.